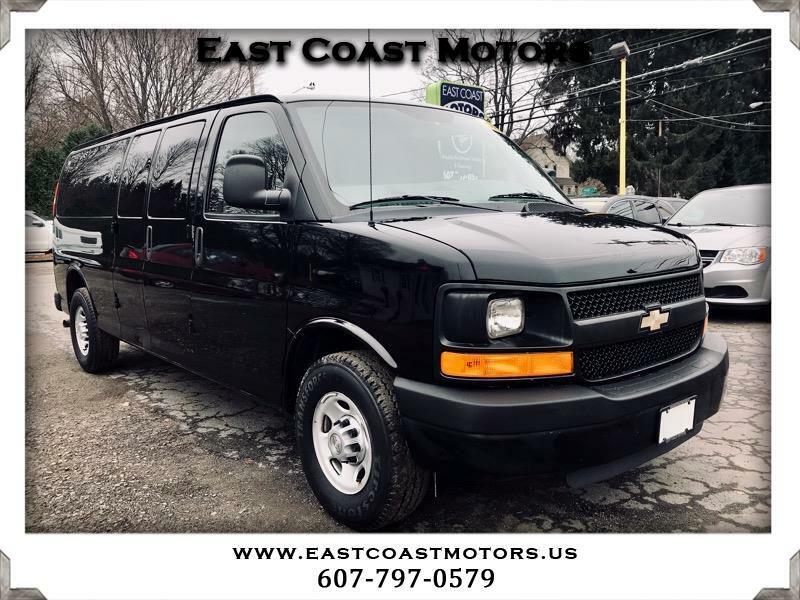 2011 Chevrolet Express LS 3500 Extended. This Chevy Express 3500 seats 15 passengers. It comes equipped with power windows, power locks, keyless entry, cruise control, AC, and has a 6.0L V8 engine. 69 Castle Creek Road Binghamton, NY 13901 on the corner of Upper Front Street and US Route 11(Castle Creek Road) across from Lowes Home Improvement. 946 Upper Front St Binghamton NY 13905 next to Nirchi's Pizza.